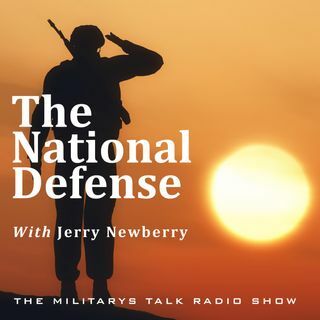 The National Defense has a great show for you this week, particularly if you’re a history or football buff! First, Randy speaks with author Jay Wertz who, through his research and interviews conducted with those who were there, has written The World Turns to War (War Stories: World War II Firsthand). Randy speaks with Jay about the way he went about putting the book together and the importance of documenting the stories of people that had their lives affected by World War II in this great ... See More interview. Then, Pro Bowl Wide Receiver of Detroit Lions Fame, Herman Moore, returns to the show to talk about his involvement with the Quicklane Bowl coming up at Ford Field in Detroit Michigan. Ford and Quicklane are providing ten $50,000 scholarships to veterans seeking jobs in the automotive maintenance field, and Herman has the details about how you can nominate a veteran for that award. Time is running out, so make sure to get your nominations in soon! That’s all this week on The National Defense.